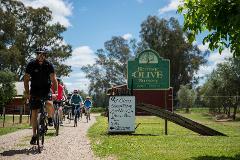 A brilliant all inclusive small group cycling weekend from Beechworth to Bright in Victoria using the iconic Murray to Mountains Rail Trail, complete with guide, exclusive wine tastings, gourmet food, stunning scenery and fellow riders. 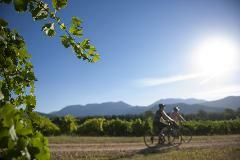 A 3 day/2 night self guided cycle tour on the Murray to Mountains Rail Trial from Beechworth to Bright staying in 4 star accommodation, restaurant meals, wine tastings, transfers, luggage, all inclusive tour, and BONUS spa retreat voucher. 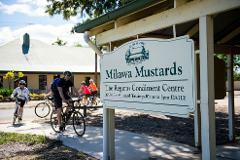 A lovely self guided day cycling tour that captures the major highlights of Beechworth and the Milawa wine and gourmet region. 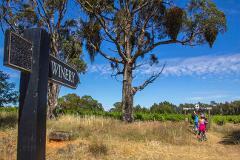 A 2 night/2day escape, with an easy day cycling through the gourmet delights of North East Victoria, staying in historic and beautiful Beechworth, with lots of goodies included! Great for couples, even better for a group of friends. 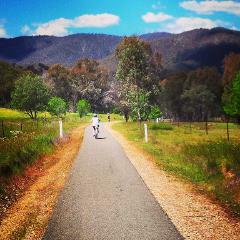 A 3 night/4 day all inclusive tour that follows the iconic Murray to Mountains Rail Trail from historic Beechworth through to beautiful Bright. 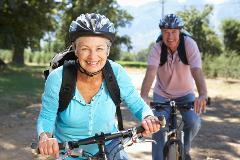 Overnight in each of Beechworth, Myrtleford & Bright with 2 days cycling.